Former Trump staffers Steve Bannon, H.R. McMaster, and Reince Priebus during a press conference at the White House on April 12, 2017. All three have since departed. Will Deputy Attorney General Rod Rosenstein be the next to go? Could FBI Director Christopher Wray follow his predecessor James Comey out the door? Is Attorney General Jeff Sessions nearing his long-rumored end? This is the new celebrity death pool — the morbid game in which people try to guess the next famous person to die. Now with far more at stake, it’s all about the POTUS purge pool. It’s no longer a question of whether a member of the Trump administration will resign or be fired. The only immediate unanswerable is who will be the next to go. No administration in modern history has weathered more staff disarray than President Trump’s. After a year in office, 34 percent of the president’s most senior staffers had quit, switched roles, or been kicked to the curb. 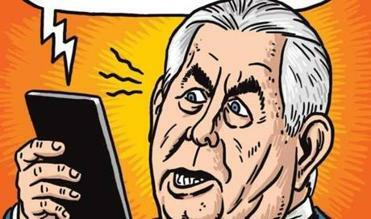 By the end of March — a month that saw the departures of Rex Tillerson as secretary of state and longtime Trump confidante Hope Hicks as White House communications director — the casualty rate surpassed 40 percent. For those keeping track, that’s more than double every other presidency since 1981. Which administration staffer will be next to go? On her MSNBC show, Rachel Maddow keeps an oft-updated chart of Trump administration departures that now rivals the size of the information board at South Station. Reports say Chief of Staff John Kelly often threatens to quit. 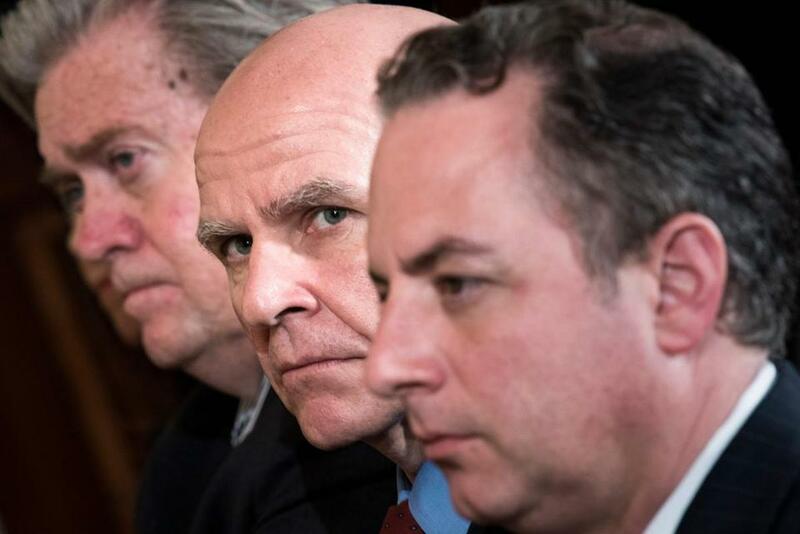 Since Trump brought in his shiny new warmonger John Bolton as national security adviser this month, three high-level security officials have quit or been shoved out. No, it isn’t. An attack on our country is a foreign government interfering with our election. Trump’s comment is the panicked hyperbole of a man who sees special counsel Robert Mueller creeping deeper into his business and businesses. White House spokeswoman Sarah Huckabee Sanders said Trump believes “he has the power” to fire Mueller. That seems unclear. Still, on the purge pool scorecard, Mueller is neck-and-neck with Rosenstein. Up from the murk of Trump henchmen past, former chief strategist Steve Bannon is reportedly lobbying White House aides and Trump’s congressional sycophants to push for Rosenstein’s dismissal. The deputy AG has overseen Mueller’s investigation since Sessions recused himself last year, another Trump boiling point. Rosenstein also signed off on the Cohen search warrant. Then there’s the noise from the Trump’s real Cabinet — Fox News. “Big show tonight,” the president tweeted before Sean Hannity’s Wednesday episode. With a chart reminiscent of those on a police procedural connecting criminal figures, Hannity showed photos of Mueller, Rosenstein, Comey and — because why not? — James “Whitey” Bulger under the title “The Mueller Crime Family?” Meanwhile, Republican Devin Nunes of the House Intelligence Committee says he’s hatching a plan to impeach Rosenstein and the FBI’s Wray unless he’s given a document that he claims drove the Russia investigation. If anything pushes Trump toward his next big firing, it could be Comey’s book, “A Higher Loyalty: Truth, Lies, and Leadership.” In his book, and on a prime-time interview with ABC’s George Stephanopoulos, Comey is expected to spill various varieties of tea about his tenure as FBI director, including his abrupt firing by Trump, which led to Mueller’s appointment. You can bet the president will be watching, fuming, and likely tweeting. Given all we’ve already endured, the worst is yet to come from a presidency destined to leave scars. In the meantime, keep those scorecards handy.